3D modeling is an excellent way to exercise creativity while keeping in touch with your technical side. 3D models are necessary if you want to print 3D objects What Is 3D Printing And How Exactly Does It Work? What Is 3D Printing And How Exactly Does It Work? Imagine if you could print out three-dimensional objects straight from a printer in your home. When I was a kid in primary school, I thought it would be awesome if I could print pizzas out... Read More (which can solve a few annoying life problems 9 Effortless 3D Printing Solutions to Annoying Life Problems 9 Effortless 3D Printing Solutions to Annoying Life Problems Not all of us are clever lifehackers. But the ease and universal availability of low-cost 3D printing now allows us to solve life's annoying little problems with just a 3D design idea. Read More ), create your own 3D games Start Creating Games In No Time With Unity3D Free Start Creating Games In No Time With Unity3D Free Read More , or make machinima films 7 Free Tools for Creating Your Own Machinima Films 7 Free Tools for Creating Your Own Machinima Films Machinima is the art of making movies with video game footage and assets. 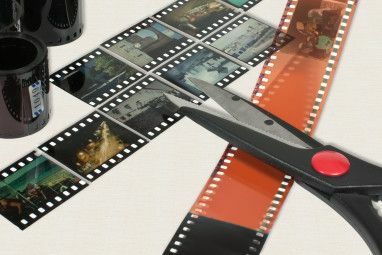 Want to create your own films without any directorial experience? Here are some free tools to get you started! Read More . Learning Maya is smart Learning Maya 2016: Where To Get Started Learning Maya 2016: Where To Get Started Maya is a tool used for 3D animation, but it comes with an incredibly steep learning curve. What good teaching material is there? Read More if you plan to go professional, but with prices starting at $123 per month (or $3675 for a perpetual license), it’s quite cost-prohibitive. Easy 3D modeling programs Create Beautiful Organic 3D Models For Free With Sculptris [Windows & Mac] Create Beautiful Organic 3D Models For Free With Sculptris [Windows & Mac] Sculptris is a 3D design tool by Pixologic, makers of the $699 professional 3D tool ZBrush. It comes from a good home, but unlike its sister app, Sculptris is entirely free. We’ve covered Sculptris in... Read More exist, like Sculptris, but we highly recommend Blender if you need free 3D modeling software. 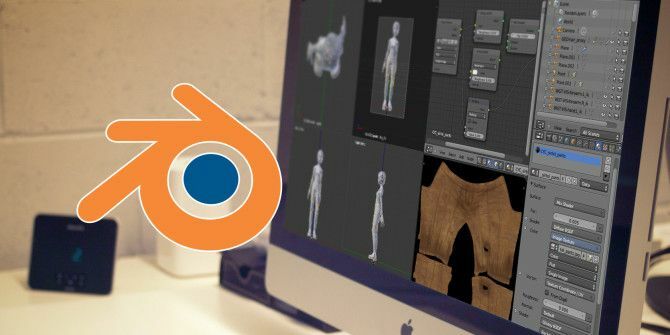 3D modeling isn’t easy to pick up, though, so here are some of the best online newbie courses for Blender that won’t cost you a penny. The Blender Beginners series by ZoyncTV is slightly outdated (it’s based on Blender 2.6) but a lot of what you’ll learn is applicable to the current version of Blender. Even if hotkeys and terms change, the underlying concepts will always be fundamental to a good grasp of Blender. Each video in this 11-part series is between 10 and 20 minutes long, split into five separate topics: modeling, modifiers, materials, textures, and animation. It’s a newbie-level course so nothing too advanced here, making it great if you’ve just installed Blender for the first time. The Blender Survival Guide series by Creative COW is one of the best resources available to someone who has never used Blender before. Every video in this 13-part series is between 15 and 45 minutes long, meaning you’ll get 350 solid minutes of training completely for free. What’s great about this series is that it touches on all of the essential and necessary skills for Blender without delving too much into technical explanations or geeky tangents. It truly is a survival guide that teaches only the absolute necessities. The Learning Blender series by Umberto Oldani works as a great introduction to Blender because it really starts from the very bottom: the user interface. By the end of this 100-minute lesson, you’ll have created a complete 3D model from scratch and learned all you need to be confident in Blender. Just a word of warning: while the educator speaks in English, he does have a slightly heavy Italian accent which can be hard to follow at times. But give it a few minutes and you’ll likely get used to it. The KatsBits website is home to a lot of great asset creation tutorials for video games, and their Blender tutorials are excellent references when you need a starting point for different kinds of 3D models. There are 41 Blender tutorials available at the time of writing this. For example, one of the tutorials is a step-by-step guide to creating and animating a gingerbread character. Another tutorial takes you through the process of creating a 3D level for Quake. And then there’s the tutorial that shows you how to create a simple sword model. These tutorials are a little more outdated than the others, but they’re still useful in concepts so don’t be afraid to check them out. GameFromScratch is an excellent resource for anyone who wants to start making their own games. 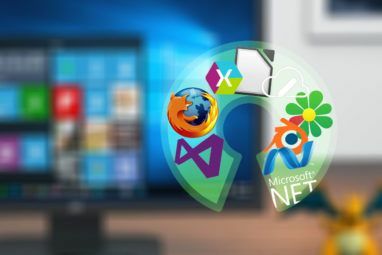 The site is home to over a hundred tutorials covering game development tools 5 Free Game Development Software Tools to Make Your Own Games 5 Free Game Development Software Tools to Make Your Own Games Here are the best free game development software and tools you can use to start making your dream game today. Read More like the Unreal Engine, LibGDX, SFML, and yes, even Blender. The Blender series is meant for complete beginners, starting with modeling, advancing to textures, and ending with keyframe animations, Blender camera manipulation, lighting, and rendering. Highly recommended for game creators who need homemade 3D assets. In 2013, instructor Neil Hirsig led a Blender 3D course at Tufts University and ended up making a lot of the course content publicly available. 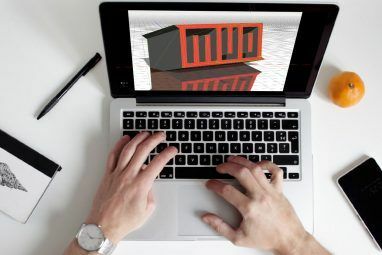 Over 14 lessons, you’ll learn everything from basic modeling to advanced rigid body dynamics. Content is available in both video form and PDF form. There are also four “projects” that you can use as challenges, testing your skills to see how far you’re progressing. This last online tutorial is actually a “wikibook” called Blender 3D: Noob to Pro. Existing entirely as pages of a wiki, this ebook is a dense resource that’s packed full of insight and tips. The very first section starts off with an overview of 3D concepts and an in-depth introduction to Blender’s interface. There are several dozen pages on basic modeling, followed by several dozen other pages that delve into more intermediate and advanced material. Seriously, this resource is amazing. And once you become a master of Blender, you can come back and contribute your own bits of knowledge for others to benefit from. After all, that’s how this wikibook became such a success in the first place. Despite being a free tool, Blender is excellent. It’s one of the shining examples of open source software and has been used to create plenty of awesome models and animations like Sintel and Tears of Steel. Used correctly, Blender can be a professional-quality program. All you have to do is get over the learning curve and master what it offers. The tutorials above will get you started on the right path. What do you think of Blender? Are there any other awesome Blender tutorials out there that we missed? Let us know in the comments below! Explore more about: 3D Modeling, Blender. Great and informative article. You can host online courses on different platforms. So if anyone interested Making Money Online worldwide or in Dubai, UAE can visit an article that exists 1200+ ways to earn money online. Teaching via video any program that is as complex as Blender is folly. Write a book. With a book, a persong can get to the place he needs to very quickly. He can get the exact info he needs. You cannot do that via video. Where is hell's name is OFFICIAL Blender documentation? NOT FOUND ANYWHERE! WIthout proper documentation, the userbase is kept slim. People try and fail. Blender will never be competitive with major 3D progams such as 3D Studio Max or Manga. Why? IT HAS NO DOCUMENTATION. Let it fail. If the development team does not understand this concept, let it fail. Don' try to help. It is futile. Very few can get where they want to go without complete documentation in written form, with superb indexing. I appreciate your willingness to help, but videos are not the way to deliver instructions. Writing is the way. I also crave good written documentation. But there are some good books out there and I also scour the web for ebooks and then print them out. Don't forget that different people learn in different ways - some by reading, some by listening, some by watching and some by doing, and some by a combination of these. I certainly start out by reading as much as I can, but I've found that some of the tutorials on Youtube are very good (I haven't tried the ones here yet) and by copying the good ones step by step, several times over, I'm getting to grips with blender and it really is as powerful as as any of the professional 3D software I've tried. Blender certainly has a wierd user interface but by copying and practising (like learning the piano) it will all come together. As a professional, I really appreciate this article. I started way back with Alias, beta tested 3DS 1.0, etc and used to be an avid Autodesk fan. Now that Autodesk animation products have progressively reverted to the price points of those days of old, I prefer to devote my time to products that can help open source / free software availability and practicality for the general public. Neil Hirsig's tutorials made the transitions easy for me. (My only wish is that the video series were updated to a higher resolution and reflect some of the changes in the newer version.) Two things that could be improved upon in Blender, as compared to the other professional programs are Blender needs better real world measurement units and second that better 3D morphing capabilities. Imho Blender is pretty great. Thanks Lard, and I agree. Blender is one of the best examples of open source software. It's professional quality in a lot of ways (though nowhere near perfect & it still has a lot of room to grow) and it has such a great community around it. Lots of neat things are happening with Blender. Adobe Photoshop vs. Microsoft Paint: What Do You Really Need?